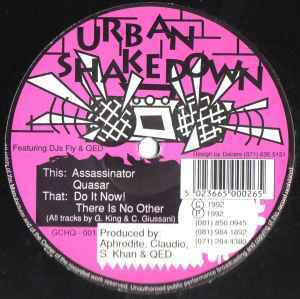 Urban Shakedown ‎– Do It Now! Still to this day I can get memory recalls just from hearing this tune! Nuff respect all crew for this totally amazing production! This was made by drum and bass producer Aphrodite. "track A"- "do it now!" is the one i recommend to mix.excellent bright production on those snare edits.early Jungle edits feel to it that you will recognise in his latter work.